How Does Rain Change the Assessment of Fault in a California Car Accident? 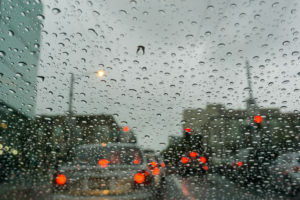 Home » Blog » How Does Rain Change the Assessment of Fault in a California Car Accident? It is no secret that California has some of the busiest, most heavily congested roads in the country. The roads are dangerous enough under perfect conditions, but what happens when the conditions are anything but? For example, what happens when it rains? Anyone who lives in California can tell you: The roads get even more dangerous. If you have been involved in a car accident in the rain then there may be complicated liability issues at play. At Law Offices of Michael A. Kahn we recommend you contact us at (310) 209-1600 as soon as possible. We can carefully assess the situation and offer our best advice on how you can proceed. If it is raining, do your responsibilities as a driver change? Yes and no. It’s true that you should change the way you drive, i.e. by slowing down if necessary, but this is always you responsibility – the law requires that every driver proceed with care. This means following the speed limit in the best conditions but making adjustments in less ideal situations. The law requires that a driver behave the same way a “reasonably careful” person would behave if in the same situation. When it is raining you should be alert, take care when changing lanes, and keep all of your attention on the road. If you are involved in an accident and the other driver tries to blame it on “slick roads,” do not accept this as an argument. It may be that the slickness prevented the driver from stopping in time, but it is their responsibility when it is raining to allow more time to stop. If it is raining and they do not adjust their driving accordingly, then they should be held liable for the accident. After the accident happens, call the police and report the crash. If there were no significant injuries the police may choose not to come to the scene. If that is the case, then you need to submit an accident report to the Department of Motor Vehicles. At the scene of the accident, exchange insurance information with other parties but do not discuss the accident. If you are injured, get medical attention. Then contact a personal injury attorney who can help you. The bottom line is that you should proceed identically to the way you would proceed if you had gotten into an accident when it was not raining. Part of that involves working with an experienced attorney who will help you from start to finish. That attorney is Law Offices of Michael A. Kahn. Call us now at (310) 209-1600 for a legal consultation.